A day that includes healthy real food and art is one I want to take part in. Yesterday was that kind of a day. I offered two classes in cooking for health, the first at Wild Oats http://wildoats.coop/ focusing on cooking for women’s health. I enjoyed the women who attended and working with Robin, the marketing manager at Wild Oats again. The second class focused on healthy holiday cooking and took place in a borrowed kitchen (as my kitchen is under construction) at the Unitarian Universalist Church in Pittsfield MA. http://www.uupittsfield.org/. Again I was struck by how much I enjoyed the classes and cooking with others. I am also very grateful to have these opportunities to share information and recipes that really improve our health and are delicious too! Out of the second class a very synchronistic conversation occurred which landed me and a participant from my cooking class at MASS MOCA, http://www.massmoca.org/event_details.php?id=771 to view the 9:30 lighting of Xu Bing’s “Phoenix” http://www.xubing.com/index.php/site/projects/year/2010/phoenix_project. This wonderful exhibit is leaving MOCA today to travel to New York and I find I’m grieving this loss. I fell in love with these magical creatures, the enormity, beauty and fearless presentation will stay with me forever. I am glad the moment presented itself for me to see them lit and to say farewell. I encourage anyone who has the chance to view Xu Bing’s Phoenix to do it. Today is a day to regroup, to plan for upcoming classes as well as spend time studying and researching integrative nutrition. There is something powerful about the fact that the food we eat can and in fact does impact our health directly. We all have the power to take control of our health and change it no matter our condition. It takes courage to do so when faced with serious illness but what better time to take the leap…what have we got to lose? Like the phoenix, we can rise out of the ashes and be strong again. 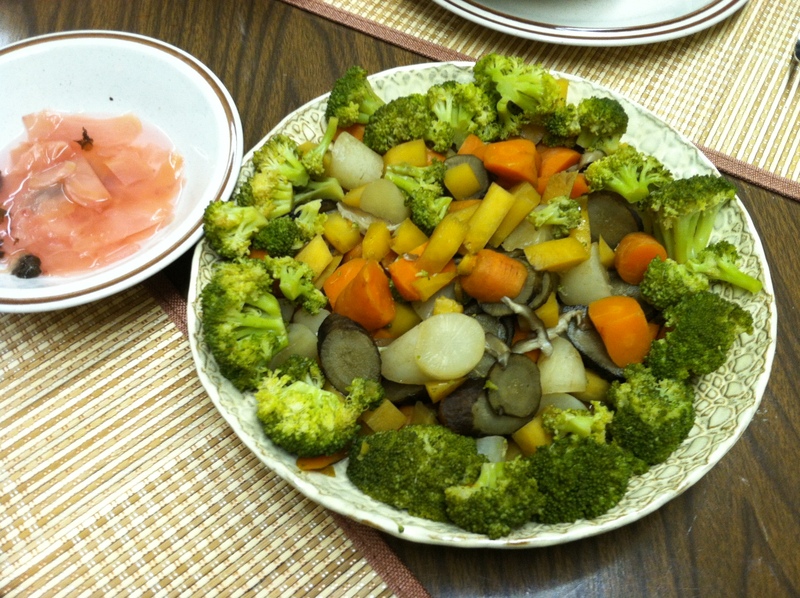 I want to share a nice recipe from Dr. Weil with root vegetables that can help strengthen us as we enter winter, the season of darkness and cold. 2 lbs root vegetables (yams, carrots, turnips, rutabagas, sweet potato, beet), cut into 1-inch pieces. 1) Heat oven to 400, place root vegetables and onion on roasting pan and toss with the olive oil until coated evenly. 2) Roast mixture for 45-50 minutes stirring every 15 minutes. After 30 minutes add garlic cloves and continue to roast. 3) Before serving add chopped herbs or for additional flavor add herbs for last 15 minutes of roasting. “All root vegetables contain healthful fiber and slow digesting carbohydrates, but beets have some special properties. Unlike most other red vegetables, which have anthocyanins to thank for their distinctive color (think red cabbage), beets derive their hue from pigments called betalains, which range in color from red-violet to yellow. Betalains, in addition to their antioxidant and anti-inflammatory properties, trigger a family of enzymes that bind toxic substances in cells, neutralizing and allowing them to be excreted from the body. Garlic’s health benefits, many of which come from its sulfur compounds, are widely documented. Some of these sulfur-containing molecules, polysulfides, are converted by red blood cells into hydrogen sulfide (H2S), which dilates the blood vessels, helping to regulate blood pressure. This entry was posted in Uncategorized, Whole foods cooking and tagged Art, cooking demonstrations, health coaching, healthy eating, healthy recipe, Kushi Institute, MASS MOCA, nature, nutrition education, Phoenix, recipes, Whole foods cooking, Wild Oats Food Coop, Xu Bing. Bookmark the permalink.